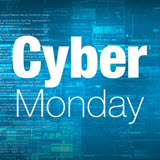 Revit Add-Ons: Cyber Monday Deal – Save 20% on Revit Works' Line of Products! Cyber Monday Deal – Save 20% on Revit Works' Line of Products! One-day only: save 20% on Revit Works' line of products!